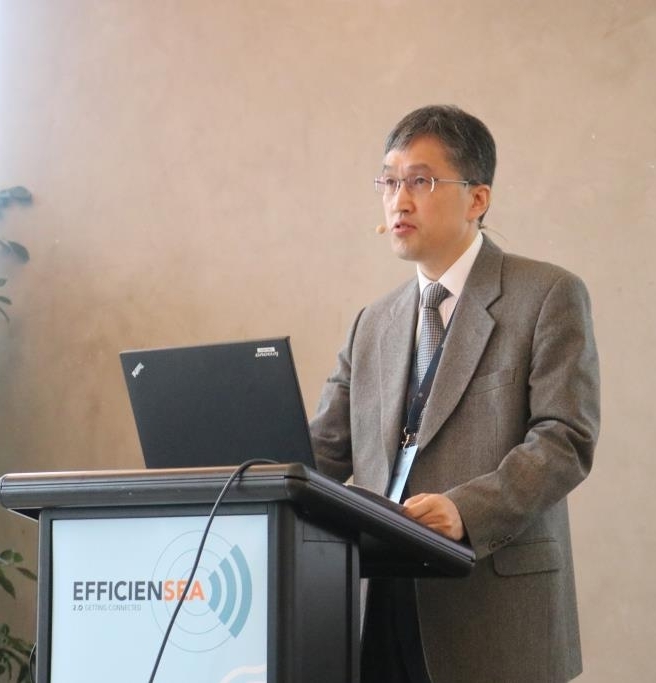 At the final conference of EfficienSea2, the team behind the MCP – or the Maritime Connectivity Platform – presented their plans to have the Korean SMART Navigation Project take a leading role in the future development of MCP. As the European project EfficienSea2 ends so does the triumvirate of the STM Project, SMART Navigation Project and EfficienSea2 on their shared work on the MCP. But plans are in place to bring the platform for digital data exchange into the next phase. The Maritime Connectivity Platform is a communication framework enabling efficient, secure and trustworthy electronic information exchange between maritime stakeholders across available communication systems. It consists of the Maritime Service Registry, where service providers, commercial and non-commercial, can offer digital solutions directly for maritime users to access if the users are registered in the MCP’s Identity Registry. The final component of the MCP, the Maritime Messaging Service, will then automatically choose the most fitting means of communication based on geo-location and available communication channels. “We wanted to create a truly global solution for safe data exchange which is why we choose to cooperate with our partners. We have been the lead architect and now, as the project ends, this coordinating role will go on to the SMART Project. But we will still be happy to help secure trusted and safe data exchange,” he told the audience. Read more about the Maritime Connectivity Platform at www.maritimeconnectivity.net.